making cake decorating made easy! 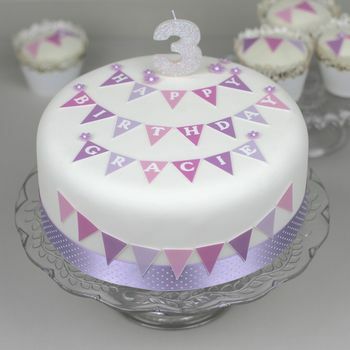 Clever Little Cake Kits make cake decorating easy! 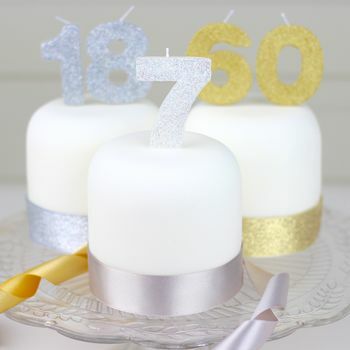 Feeling ispired by the Great British Bake Off but stumped as how to decorate your cake? Well look no further! 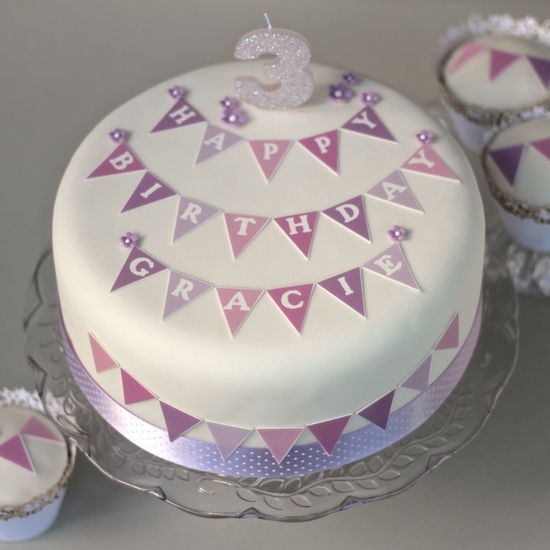 Our cake decorating kits have all you need to put together a stunning, professional looking cake in next to no time. 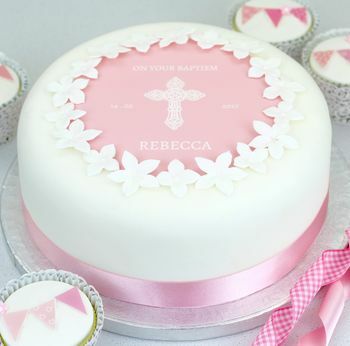 Whether it’s a birthday, christening, anniversary or any other occasion, our kits can be tailored just for you. Clever Little Cake Kits come carefully packaged in a pretty box and are delivered to your door, saving you the hassle and expense of finding all the matching decorations for your cake. Following our simple step-by-step instructions, you won’t need any special equipment. And when it’s done you can bask in the glory as your friends and family admire your creation! 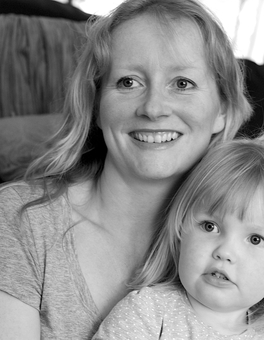 Clever Little Cake Kits is the exciting new business venture of work-at-home mums Angharad Llywelyn (Boo) and Ruth Campbell. Boo, who runs a successful wedding cake business, met Ruth in 2007. When Ruth said she'd love to have a ready made 'kit' to help create her daughter's birthday cake the idea for Clever Little Cake Kits was born! "You saved my life !! No longer am I able to ice cakes for special occasions so as as usual when I want something a little different or special I looked at 'Not on the High Street' and found your site. I am absolutley delighted with the kit and it looked wonderful on a very special cake.Than you so much for making my life so very much easier. Pat Smith"
"Professional looking kit that made a plain cake beautiful! 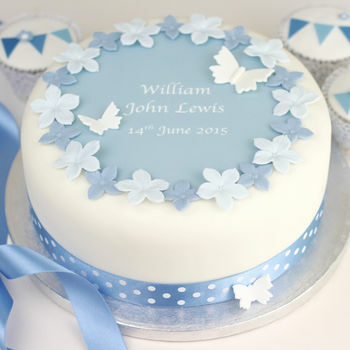 Easy to use and looked brilliant on the cake. Great service and postage." "Exactly as advertised and complimented the cake I made for my client beautifully." "Absolutely delighted with this kit! It was fun to use and I was so pleased with the result. The instructions were simple and easy to follow and all the components of the kit were beautifully wrapped up when they arrived. Will definitely use again and highly recommended." As our items are personalised and tailor made for each customer we are unable to refund or cancel items once an order has been accepted, unless damaged or faulty. It is the customer's responsibility to check that all spellings and personalised details provided are correct. A charge will be incurred for any amendments which need to be made after an order has been accepted. The cake and icing are NOT included in our cake decorating kits. Our dispatch days are Monday, Wednesday and Friday and all items will be sent by standard delivery (estimated delivery time of 2-3 days) unless express 2 day delivery or guaranteed next day delivery options are chosen. We cannot be held responsible for delays in delivery by Royal Mail which are beyond our control (including industrial action or adverse weather conditions). Prices, availability and packaging may be subject to change without prior notice. Please also see notonthehighstreet.com's terms and conditions.